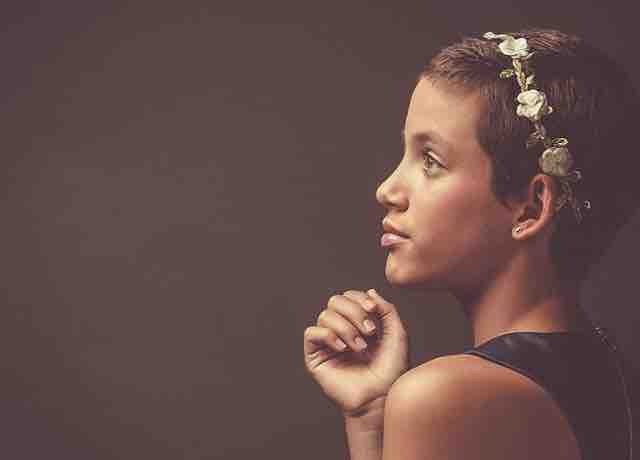 Hannah Harger is a beautiful, vivacious 10 year old girl who is fighting Wilms Tumor kidney cancer for the third time and now it has spread to her lung. Her mother Liz is a single mother with no other income and for obviously reasons had to take a leave of absence from her job to take care of Hannah. Hannah is a very special, sweet and old sole kind of girl who has been fighting this fight since she was two years old and I know won't stop EVER. Although she is not going to stop fighting and neither is her mother but they need your help to lesson the cost of what lies ahead of the fight for her life. If we can pull together and help this precious girl and mother lesson the financial battle that lies ahead by generously donating I just know it will help both of them focus on the biggest battle of fighting this beast. I ask that you share her story with everyone you know for prayers! May God bless you and your in the Christmas season!! Hannah’s update - First I want to thank everyone’s patience as I process this day. Two things were discussed today that were HUGE....her CT scan, ultrasound and blood work results AND the next step. Praise - Hannah’s scans are clear with No Evidence of Disease! As much as we celebrate this win, the next step is not so comfortable and convincing. Unfortunately, we are at an impasse. There is no good way to take the next step. Any way chosen has monumental RISKS and subsequently equal rewards. 1. Going all in NOW and pulling this 1/3 of a remaining kidney out with a risk of metastatic recurrence with limited chemo options. Thus a two year dialysis plan chemo-free before transplant and an even trickier juggle between dialysis and chemo. Waiting for potential metastatic recurrence or another life threatening tumor on her kidney to pop up over night and surgery possibly not an option or another life-threatening surgery. This option would also put her on dialysis if it involves her kidney with limited chemo options left. Again, same dialysis plan above. The chemo therapy, radiation and surgical interventions over the past 6 months and ultimately ten years have stood up to this vicious disease and will allow for nature to take its course.....ultimately ending in transplant, but with less time on dialysis if at all. No options a child or her mother should ever here. HOWEVER, specialists are being called in across the country with hopes of a decision by the middle of next week. Please pray for our medical team and our emotional, physical and financial endurance as we navigate through a haystack looking for a needle! Hannah update - Today Hannah is home! We survived her second to last chemo! It was rough and resulted in a blood transfusion, but we made it! Thankful for all those that prayed and visited with us to get us through! To our amazing team....we will be forever grateful! WE ARE SO CLOSE! Her chest X-ray and her MRI of her abdomen were clear. We unfortunately could not see the blood clot status because of blurry images, so we will revisit that on our admission that begins tomorrow. Having to Be Still and wait was surprisingly easy as I believe my heart I already knew the answer! Today we celebrate and praise God for his many blessings! Prayers work and I ask that you stick by our side as we have a long road to go, but for now.....what we are doing is working! Please pray for us as we get admtted tomorrow for her last five day chemo treatment. Only one left after this one! Thanks Be To God! We ❤️ you all!! Hannah update - We are home, but without results. We finished after 6pm, so I feel as if results will come tomorrow. What I do know is that if it was VERY bad, I would have had a doctor come in and they probably would have admitted us. I am finding that piece of knowledge my silver lining that I will hold on to tonight!!! We felt your love and prayers today and would ask that you continue praying until we hear something and beat this once and for all!! I will definitely be calling in the am to hopefully get the results and share with you all!